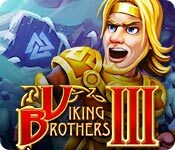 Viking Brothers 3 is rated 4.4 out of 5 by 5. Rated 5 out of 5 by bonisqui from High quality TM game, nice images As far as TM games go, I enjoyed this one. The scenes are nicely designed and beautifully rendered. I would have liked to see a little bit of animations when larger enemies were defeated but that was accomplished mostly by text. Glad to see a game in which the text is valued and properly edited for English grammar! Rated 5 out of 5 by pennmom36 from YEA FOR THE GAME YEA FOR THE STANDARD EDITION Viking Brothers are all very entertaining Time Management games, and I will admit, this third edition presents quite a challenge. This is a Strategy based TM game, and if you don't apply the right tasks at the right times, you'll probably earn less than 3 stars. During the demo, I found myself having to replay several levels, and applying different strategies, otherwise I was lucky to earn 1 star. You can play in a relaxed un-timed mode, if you don't like fast paced games, but if you're looking for a fast paced, challenging game, look no further. The graphics are fantastic, and the music doesn't seem obtrusive or repetitive. I do have a couple of complaints however, it's nearly impossible to read the story's dialog, because the paragraph's are somewhat lengthy and don't linger long enough to be able to read them before the next dialog page loads. Why can't they add a feature that allows you to "rewind, pause, or fast-forward" the dialog at your own pace. Many games that require you to read dialog text, offer a feature for skipping the text, but almost none of them allow you to rewind or pause it, isn't the story line important to it's creator's? Another feature never offered in a Time Management game is a Hint feature. I would much rather have a Hint feature than a Strategy Guide, I can't tell you how many times I've gotten stumped in a TM game, trying to figure out what I have to do to go through a portal, or secret passage way, and clicking on a Hint icon would be so useful. I don't want to know exactly what I have to do, each and every move or task, but sometimes a little nudge in the right direction would be epic! My final complaint is that all TM games should have a Casual, Normal and Expert difficulty mode available, which this one does not! Having an in between mode would be perfect, that way I could get the feel of the game in a mode slightly less challenging the first time around, then as I get into the swing of it, I could switch to Expert mode to push myself a little harder. Each level gives you the goals before you begin, and are also shown during the level for reference at the top right of the screen. There is a Star status Progress Bar located on the Left side of the screen, to show you when you are about to lose a star. If you don't achieve at least one star, you will have to replay the level to progress. On the top left of the screen, there is an inventory bar that shows your resources and the amount you currently have. If you scan over a task with your cursor, it will tell you the amount of each resource required to complete the task. If you click on a task that cannot be completed due to a lack of resources, it will tell you which resources and the amount you are lacking. On the bottom of the screen, there is a Bonus Progress Bar, that refills slowly. Some levels only offer one bonus, some levels offer two, so you can either choose the first Bonus, or wait until the meter reaches the second bonus to apply it. There are bonuses that make the workers move super fast, Extra workers, extra resources or bonuses that freeze time briefly. 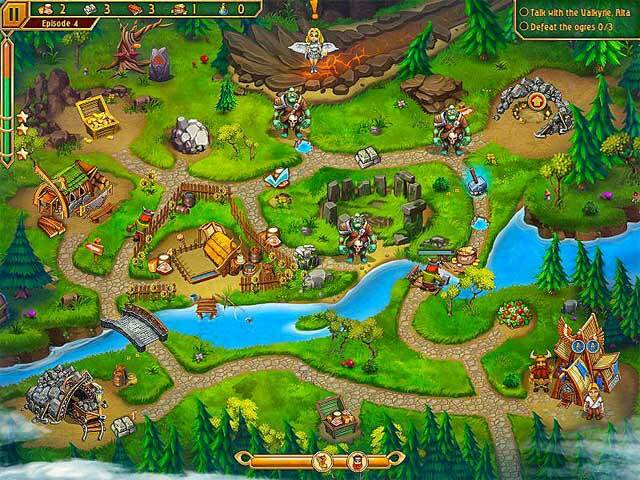 VIKING BROTHERS GAMES AVAILABLE Title***Release Date***Average Rating 1-Viking Brothers (April 12-2013) 3.9 2-Viking Brothers 2 (March 22-2017) 3.6 3-Viking Brothers 3 (December 26-2017) 3.8 by: Alawar Entertainment by: Alawar Stargaze The Collector's Edition has 5 Wallpapers, 12 Concept Art pictures, 6 Music Soundtracks, 44 Achievements to earn, 40 regular Levels, 5 Chipmaster regular Levels, 10 Collector's Edition Bonus Levels, 3 Collector's Edition Chipmaster Levels, and a Strategy Guide. I'm still not a fan of Time Management games being offered in a Collector's Edition. I could care less about Wallpapers and Concept Art pictures, I don't want a Strategy Guide because I want to figure it out for myself. In my opinion, the Bonus levels available in the CE versions, would have been available in a normal version, but they lump the last 10 levels together and say they are "Bonus CE Levels" If Wallpapers and a Strategy Guide are features you're willing to pay twice as much for, I suppose it would be worthy, but I'm personally satisfied with this Standard Edition version, enjoy! 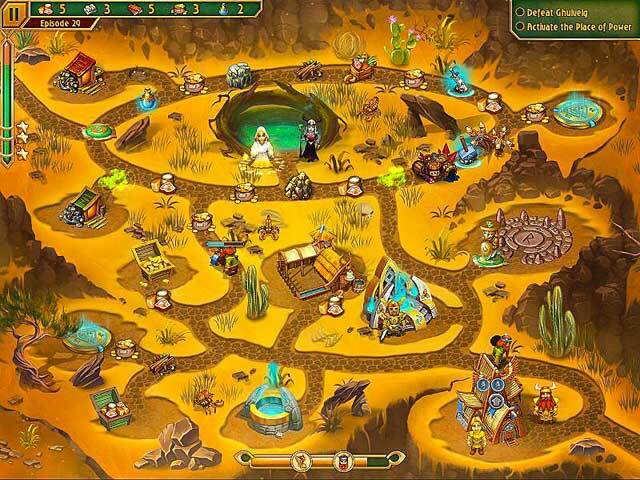 Rated 5 out of 5 by Karavan from Having fun with this game! I am enjoying this game. 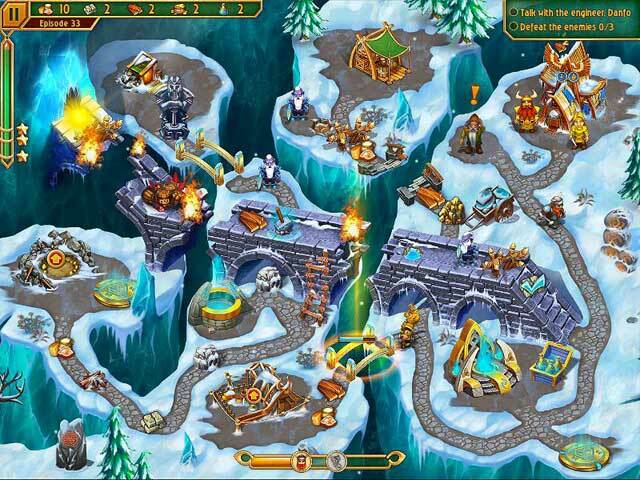 It is similar to other Viking brothers games which I have. The graphics are very good and through the demo the pace was good. Not much new stuff from others but that is OK with me since I like familiar games. Not a lot of TM games (especially that are not CEs) so this is a good game for a good price. Give it a try! Rated 4 out of 5 by Yaelle from Excellent If You Buy the Standard Edition I really enjoyed this game, especially after having played a recent TM dud with a 4 letter name, but I don't see any reason to pay extra just for wallpapers, etc. that I'll never use. And I definitely could not care an itty bitty bit less about the other extras that usually come with the higher price. Its too bad developers haven't caught onto this by now. Give me some incentive to & I'll gladly buy the more expensive versions. But anyway, this was good. Definitely recommend getting the standard version. Rated 3 out of 5 by CaptainScarlett from Could be better... The game itself is entertaining enough, but the dialogue is utterly boring and pseudo-funny. Also, it takes forever to load the next level which I find very annoying. I tried the game on three different computers, but it's the same on all of them - a long wait while the next level comes up. Nothing new from the previous two games - the brothers have to help their Viking gods get items back which Loki has stolen. You collect the usual gold, food, ore, etc. until you have enough to beat the bad guy of any particular level and move on. We've seen it all before! All in all, an okay game for a rainy Sunday, but nothing to write home about. Definitely wouldn't get the CE, the standard edition is plenty good enough. Hey, BF - still waiting for a NEW kind of TM game... but I guess we're stuck with the Vikings and the equally annoying Emily franchise? Recommend this game for all those who are - like me - desperate for a TM game, even a fairly weak one.